Speed was a fantastic ride in a run down hotel. Over the years it's popularity declined do in part of the lack of care the owners placed in the hotel/casino. Not even a monorail stop could save it. Shooting out of the station going into a 90 degree roll/turn, into the loop with a second shot to get you up the pole with a good amount of speed. I've not experienced a better launched coaster than Speed:The Ride. 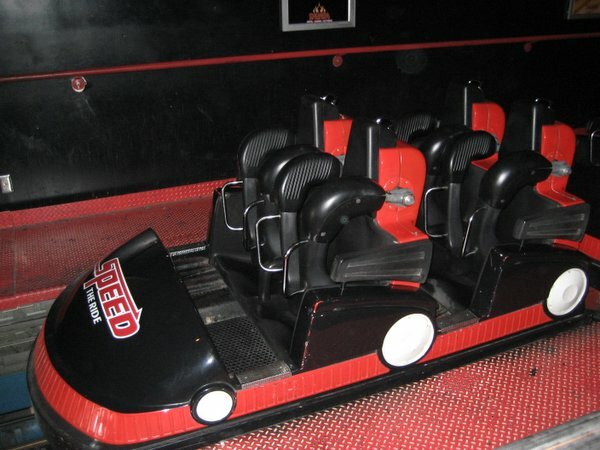 Speed was a great attraction, very enjoyable. Expensive but worth it. I was very sad to see this attraction close. 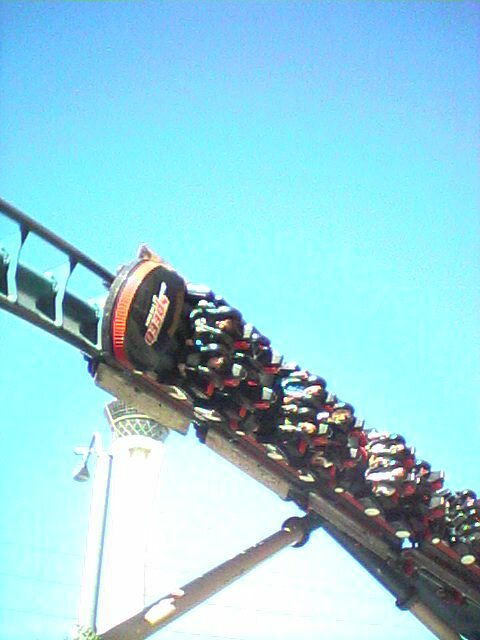 It was very forceful, and the return through the loop was very fun! Hopefully this ride will find a new home so it can be enjoyed in the future. Speed is easily the best coaster in the entire state of Nevada, or will be until the Sahara closes in a couple months. It is unfortunate that it costs $10 to ride this 45 second ride, but it is definitely worth it. The operations are very annoying, but other than that the ride is great. SPEED is amazing and my favorite ride on the strip. I've also experienced some of the other attractions within the arcade but nothing beats SPEED. The dual launch of SPEED is insane and really takes you by surprise the first time you ride it. Best seats are definitely the first couple of rows because you get a nice amount of airtime on the tower at the end of the ride. I'm glad they didn't close this ride...I ride it every time I am in Vegas!